Despite the constant relocation and removal of other fraternities, Sigma Alpha Epsilon (SAE) and its house have withstood the test of time. 2018 marks the 90th anniversary of Eagle Row and its first fraternity house, which has belonged to SAE fraternity since its construction. When Emory College relocated from Oxford, Ga., to Druid Hills in 1919, existing fraternities sought rent in local neighborhoods, according to University Historian and Senior Advisor to the President Gary Hauk. 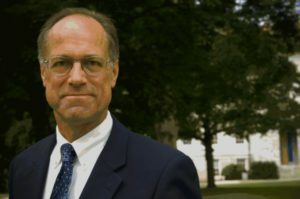 Hauk said that “A History of Emory University” by Henry M. Bullock detailed how fraternities usually met in classrooms on campus before the relocation. It had been 79 years since Emory College had first opened in 1836, and fraternities forced to seek housing elsewhere included the currently suspended Chi Phi fraternity. In 1919, the University built a temporary fraternity row consisting of “seven frame cottages,” according to “A Semicentennial History” by Professor Emeritus Thomas H. English. In accordance with Methodist piety, the University also forbade on-campus dancing since its founding and only lifted the ban in 1941. Combined with the limited fraternity housing, the ban “severely circumscribed” fraternity activities, English wrote. Although even off-campus dancing remained forbidden until 1933, students skirted the ban by escaping to the nearby city of Atlanta, where they were free from University surveillance. “[Dancing] came to be pretty openly flouted at ‘receptions’ and ‘teas’ held in Atlanta clubs, hotels, and the homes of chapter patrons and patronesses,” English wrote. It wasn’t until 1928 that the University began development on what would become Fraternity Row, later known as Eagle Row in after the construction of Sorority Village in 2006, themed housing and faculty buildings. The row’s first house opened the same year, and SAE fraternity became the first chapter to occupy an official Greek residence. English’s timeline of campus construction projects notes that the house required reconstruction after a fire in 1932. According to the chapter’s website, the fraternity’s roots at Emory trace back 137 years to Emory College in the Fall 1881 semester, when Walter R. Brown founded the Georgia Epsilon chapter. 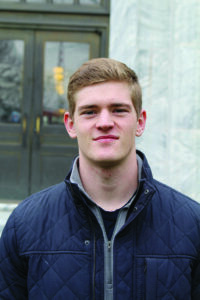 Brown, a member of SAE at the University of Georgia, aimed to spread the SAE ideal by opening new chapters across the South, according to Warshauer. At the time, the College already oversaw the activities of several other chapters, including those of Chi Phi and Kappa Alpha (KA) Order. Relocation from off-campus houses to the closer Fraternity Row introduced new benefits and challenges to the brotherhoods. Though the proximity to campus allowed chapters to interact more frequently with the student body, it also entailed increased surveillance and regulation by campus authorities. In the recent past, the Office of Sorority and Fraternity Life (OSFL) and the Division of Campus Life have relocated fraternities short of total resident quota, and the University has suspended or removed fraternities and sororities that violate OSFL policies. This year, Pi Kappa Alpha (Pike) fraternity lost its house after its failure to fill its occupancy quota. The University has also removed multiple fraternities, including Phi Delta Theta (Phi Delt) fraternity in 2013 and Chi Phi fraternity in 2015, under the OSFL Anti-Hazing Policy. 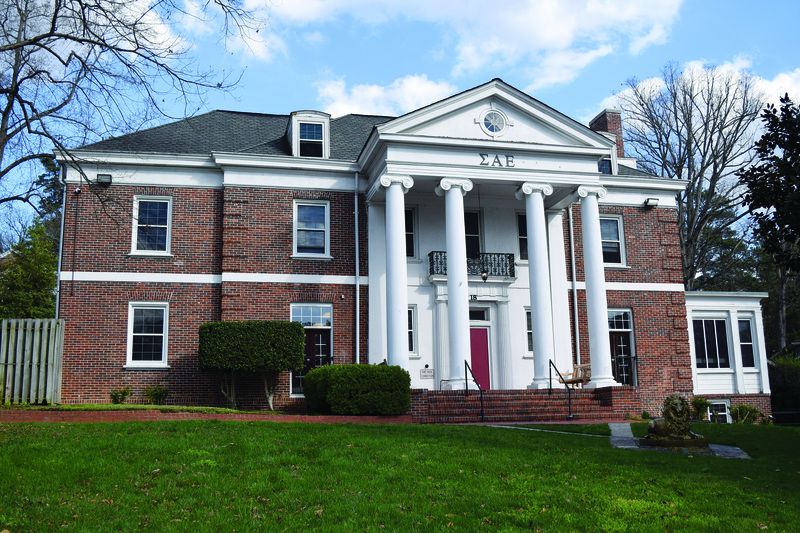 Despite the frequent relocations and removals of fraternities, SAE has steadily filled and occupied its historic spot on Eagle Row for the past nine decades, according to SAE President Ross Warshauer (19B). Warshauer said that owning a house was likely central to the process of solidifying SAE’s legacy and presence on campus. The row’s oldest house at 90 years old, the SAE house also boasts the row’s sole pool — a popular attraction during the warmer months. The pool is just one of many symbols of the brothers’ pride in their chapter. When the University funded renovations for fraternity housing, the brothers of SAE at the time asked that the money go toward building a pool in their backyard, Warshauer wrote in an email to the Wheel. Despite disapproval from the University, the brothers pushed the project. “There’s a lot of history in [the SAE house] that we’ve come to learn and come to identify with the Emory SAE experience,” Warshauer said. That fierce loyalty is something Warshauer said he intends to preserve as the brotherhood continues its 137th year. When the house reaches its centennial in 2028, SAE intends to be living there. CORRECTION (3/9/18 9:32 a.m.): The article has been updated to reflect that Kappa Alpha (KA) Order is not currently suspended, and that the College moved to Druid Hills in 1919. [email protected] | Seungeun "Sage" Cho (20C) is Seoul-born and San Diego-raised, double majoring in comparative literature and East Asian studies. Cho previously served as the Wheel's Emory Life Editor and enjoys older Fire Emblem games, playing electric guitar and snowboarding.